We think Neil Armstrong got it wrong. There are no small steps. Every one you take is a potential for danger, because you never know what's coming your way next. These Reebok Men's Tan RB8894 Rapid Response EH Composite Toe Military Boots protect every single step ... (see full details) (see specifications) #RBKRB8894. We think Neil Armstrong got it wrong. There are no small steps. Every one you take is a potential for danger, because you never know what's coming your way next. These Reebok Men's Tan RB8894 Rapid Response EH Composite Toe Military Boots protect every single step, no matter how far they take you. The desert tan uppers of these shoes are crafted from soft suede leather and tough Cordura nylon. The soft leather panels give your feet the flexible support they need. Meanwhile, breathable nylon panels release heat to keep your feet cooler. The 8-inch uppers are detailed with stealth side zippers for easy entry and exit in these non-metallic boots. Inside these tactical boots is a combination of Tailex and Cambrelle materials were used to create the soft inner lining. Both fabrics are light and breathable to promote healthy, cooling air flow and prevent sweat. 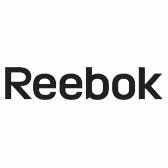 The insoles of these Reebok boots are manufactured in an easy-clean, removable design. Made with two-layer, dual-density construction, these inserts are constructed with shock-resistant polyurethane that absorbs painful foot shock. Additionally, these safety toe shoes are equipped with composite toes to protect your feet from impact hazards. The outsole are crafted in a dual-density design, too. The midsole layer is manufactured with lightweight EVA foam to create an airy core of cushioning. The mountain trail bottoms on these premium boots are designed for traction, even on rugged terrain. Shock Eliminator heel plugs soften shock and impact. Protect every step, and every part of your feet, with Reebok Men's Tan RB8894 Rapid Response EH Non Metallic Composite Toe Tactical Boots. They're made for steps of all sizes. Order your pair online from the Working Person's Store today. If you liked the C8894 you will love the RB8894. I have bought 2 pairs of these and I am purchasing my third pair today. I am in these at least 21 days a month, 16 hours a day. Light-weight, comfortable, and needless to say the side zipper makes it a breeze getting them on and off. Only downside is they are not waterproof, but I operate a excavator at a drilling rig, so I am not outside much and its easy to stay out of water. I am on my feet 8 to 10 hours a day. They support my feet a lot better then my last set of a no name boots I have before. I am very happy with these boots and I am planning to buy another set for Christmas. It's always good to have back up set of good boots around. I plan to let everyone know about these boots. I wore these boots in Iraq and loved them. Light weight and easy to get on. Cool in the heat. I normally have a hard time breaking in boots as my feet are not good, but I can put these on day one and never have a problem. I have owned 4 pair and will buy more as needed. They are my work boots so I am in them 10 hrs a day, 5 days a week. I do not dread putting them on! Very good boots. If they were waterproof and lasted twice as long, then they would be better, but they are great as is. I stand all day in my Arms Room and these boots work very well for my needs. So far they are standing up to the everyday use, from standing in front of my work bench, to walking up and down the firing line. They fit very well and my feet do not get tired as they did in my last pair of boots. I am already planning to get another pair to keep as a back up pair. Thank you for the nice selection. Many stores are no longer carrying the 29 inseam. I thought I'd look here and I found everything we needed. Reebok Boots: Men's Tan RB8894 Rapid Response EH Composite Toe Military Boots is being added to your cart.